2° Investing Initiative, founded in Paris in 2012, is a multi-stakeholder think tank which conducts research and seeks to stimulate change, aligning financial institutions’ investment processes with 2°C climate scenarios. It develops metrics and tools to measure the climate performance of financial institutions and promotes the development of a regulatory framework to incentivise the re-focusing of investments on a low-carbon economy. The Abdul Latif Jameel Poverty Action Lab (J-PAL) was founded by the MIT in 2003. This laboratory has designed and implemented a randomized evaluation method for poverty reduction programs inspired by clinical trials used in medicine. Through its work J-PAL helps governments, donors and companies improve their actions to support the poorest. Accenture Development Partnerships works with leading international development organizations to address the world’s social, economic and environmental issues. By delivering the power of Accenture’s global capabilities and experience, we help our clients develop sustainable, innovative and market-based solutions to maximize value while driving measurable impact. LFS Financial Systems is the strategic investor of ten Microfinance network banks belonging to the AccessHolding group (currently banks in: Azerbaijan, Madagascar, Tanzania, Nigeria, Liberia, Tajikistan, Zambia, Rwanda, Georgia and Brazil). AccessCampus is the Learning Centre of the AccessHolding network and ensures capacity building of local staff in management positions by offering technical and leadership courses taught by in-house executive staff and external experts. Accion is a global nonprofit committed to creating a financially inclusive world, with a pioneering legacy in microfinance and fintech impact investing. Accion catalyzes financial service providers to deliver high-quality, affordable solutions at scale for the three billion people who are left out of – or poorly served by – the financial sector. For more than 50 years, Accion has helped tens of millions of people through its work with more than 90 partners in 40 countries. The Chilean Association for Renewable Energies, ACERA AG, seeks to protect the environment and enable sustainable development through the promotion of non-conventional renewable energy (NCRE). To this end, it promotes the use of NCRE, works to develop a regulatory framework to encourage NCRE, and promotes the installation of NCRE plants that exceed the goals established in national legislation. ACERA AG consists of 120 local and foreign members from the entire NCRE value chain. Activa Group was founded in 1998 and is a big player in the African insurance sector. Its seven subsidiaries are all market leaders in the Continent’s five market segments. The Group continues to grow via the Globus network which it established in 1997 as a non-integrated insurer network offering international customers and brokers comprehensive insurance solutions in over 40 English-, French-, Arabic-, and Portuguese-speaking African countries. Globus in the partner of choice for major international insurers that do not have their own African subsidiaries (i.e., Generali, Zurich, Ace, XL, etc.). Globus also has its own captive reinsurer, Globus Re. ADB is a state-owned Ghanaian bank, created in 1965, whose primary mission is to provide loans and financial services to the agricultural sector. A major player in the Ghanaian banking scene, ADB has the third largest national branch network and ranks no.5 – of 27 credit institutions in all – in terms of assets and loans. Adenia Partners is closely involved in the day-to-day management of its investees. In particular, it has partnered Opham, a Malagasy pharmaceutical products distributor, and recast its corporate governance structure in pursuit of enhanced growth. 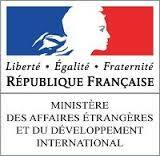 AFD is an inclusive public financial institution and the main actor in France’s development policy. 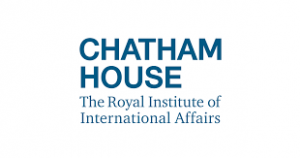 It makes commitments to projects that genuinely improve the everyday lives of people, in developing and emerging countries and in the French overseas territories. AFD works in many sectors – energy, health, biodiversity, water, digital technologies, training – and supports the transition to a safer, more equitable and more sustainable world: a world in common. Its action is fully in line with the Sustainable Development Goals (SDGs). Through its network of 85 agencies, AFD operates in 109 countries and is currently supporting over 3,500 development projects. In 2017, it earmarked EUR 10.4bn to finance these projects. The Africa Health Fund (AHF) a USD 105.4 million fund, was established in 2009 with the backing of the African Development Bank, ASN Bank, the Bill and Melinda Gates Foundation, the Development Bank of Southern Africa, DEG, the Elma Foundation, the IFC, the Maria Wrigley Trust, Norfund and Proparco. Today, 43% of AHF’s investments have been made in health services provision, 29% in retail, 14% in manufacturing, and 14% in risk pooling. African Leadership University (ALU) seeks to transform Africa by identifying, developing and connecting the next generation of African leaders, thereby encouraging lasting peace and prosperity across the continent. Africa’s greatest need is ethical and entrepreneurial leadership – ALU develops leaders who prevent wars from occurring in the first place, entrepreneurs who create jobs and scientists who increase food production and access to healthcare sustainably. AfricaNext Investment Research is an advisory firm focused on the telecommunications, media and technology sectors in Africa. The International Energy Agency (IEA) provides its 28 member countries with expertise that helps them guarantee a supply of reliable, clean and affordable energies. AHI is an impact consultancy that specializes in housing policy and finance for Global South countries. AHI works with pro-poor innovators to address systemic obstacles to affordable housing. AHI’s clients include key actors in housing, such as governments, lenders, developers, development finance institutions, philanthropies, and community organizations. It contributes expert advice, capital, and research to global housing issues. The Moroccan association Al Amana was set up in 1997. It employs 2 000 people, has a portfolio of 500 000 clients, and has now become the biggest microfinance institution in North Africa. Founded in 1997, Al Amana Microfinance is governed by the laws regulating microcredit activities. As a market leader in Morocco, the association has a retail network covering the whole country. It has 597 sales outlets, including 280 in rural areas and 86 mobile branches. By the end of 2015, Al Amana had provided 1.5 million customers with almost four million loans, for an overall total of close to MAD 30 billion. Allianz has a footprint in 15 African countries, from Morocco, down through Kenya to South Africa. In Sub-Saharan Africa at end-2015, Allianz Africa group had 17 subsidiaries in 12 countries, around 600 employees and €530 million worth of assets under management. Allianz markets a comprehensive range of insurance services for both private individuals and businesses and is involved in major international programmes including micro-insurance. It has approximately 700,000 microinsurance policy holders in West and Central Africa (policies mainly tied to micro credits). Amadeus Capital Partners is a global technology investor. Since 1997, the firm has backed more than 130 companies and raised over $1bn for investment. 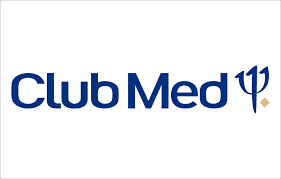 Amadeus Capital Partners invests in consumer services, financial technology, artificial intelligence, cyber security, medical technology, digital health and digital media. 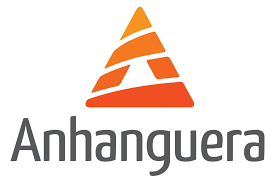 A listed company, Anhanguera is the one of the biggest private for-profit group in the Brazilian education sector. 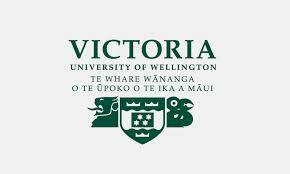 More than 400,000 students attend its 70 campuses and more than 500 distance learning centres. With a nationwide presence, the company offers more than 90 undergraduate and post-graduate university courses in business, accountancy, law, engineering and applied social sciences. APG World Connect is an annual global airline sales and distribution conference bringing together more than 400 airline company sales executives and general decision-makers. Participants come from 80 countries and 65 airlines. APG Academy is an online platform providing airline distribution and sales training courses. Armstrong Asset Management is an independent clean energy asset manager, committed to investing into clean energy infrastructure assets that leave a long term positive impact on society and the natural environment. Armstrong is a Singapore based firm, with an investment mandate dedicated to developing countries in Southeast Asia. Aureos Capital is a private equity fund management company specialising in expansion and buy-out capital for small to medium size enterprises in Asia, Africa and Latin America. Since 2001, Aureos has increased its funds under management to USD 1.3 billion, managed by over 90 investment professionals in its 28 offices worldwide. Investors include financial institutions, development finance institutions, pension funds, sovereign wealth funds, fund of funds, family offices, and high-net-worth individuals. AXA has 166,000 employees in 64 countries serving some 103 million customers across its four lines of business: property and casualty insurance, life and savings, health insurance and asset management. AXA needs to constantly anticipate major transformations in order to tailor products and services to present and future customer needs. For example, in February 2016 it launched a global initiative to scale up programs to protect the emerging middle classes in developing countries. Azalaï Hotels Group is the leading hotel chain in West Africa and is strengthening its international position. With over 20 years of experience and a headquarters based in Mali, Azalaï Hotels has developed a strategy focused on meeting the increasing needs of its clients. From Bamako to Abidjan, and including Ouagadougou, Bissau, Cotonou and Nouakchott, Azalaï Hotels Group has a strong local base, providing over 3,000 direct and indirect jobs across the subregion. Azure Power developed India’s first utility scale solar project in 2009 and installed India’s first megawatt scale solar rooftop project that was recognised in 2013 as a Top 10 Public Private Partnership by the International Finance Corporation (IFC). Today, Azure Power is a leading developer, constructor and operator of utility scale, micro-grid and rooftop solar projects, and the single largest owner and operator of projects under the National Solar Mission, India’s federal renewable policy. management, representing a portfolio of 38 investments in more than 20 countries, providing 16 million customers with services and creating employment for more than 20,000 people. It has offices in Luxembourg, Geneva, Bogota, Nairobi and Singapore. 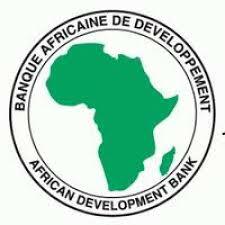 The African Development Bank (AfDB) Group is the premier development finance institution in Africa, with a mandate to spur sustainable economic development and social progress on the continent, thereby contributing to poverty reduction. It achieves this objective by mobilising and allocating resources for investment on the continent, and providing policy advice and technical assistance to support development efforts. The AfDB’s authorised capital of around USD 100 billion is subscribed to by 77 member countries, made up of 54 African countries and 24 non-African countries. BearingPoint is a Dutch-based European management and technology consulting business with a footprint in 70 countries through its 140 partners and 3,350 consultants. It has an international network of partners and a solid presence in France where it is one of the leaders in business operations consulting. BearingPoint has been working with major businesses listed on the French CAC 40 stock market index and large government departments for over 10 years. The European Bank for Reconstruction and Development (EBRD) promotes entrepreneurship through financial investment, business services and involvement in high-level policy dialogue. In 2006, the bank launched its Sustainable Energy Initiative (SEI) to promote investment in energy efficiency, renewable energy and climate change adaptation, which now encompasses 993 projects and investments of €17.7 billion. Bank of Africa Group is present in 12 countries and is one of the biggest banking groups with local capital in Sub-Saharan Africa. Its strategy focuses on SMEs and it is today one of the most exposed players in this segment of Africa’s economy. Bolloré Africa Logistics was founded in 2008 and is the largest private concession operator in Africa. It is active in 43 countries through its 250 subsidiaries. With a 22,000-strong staff, it is one of the largest private employers in Africa. Bolloré Africa Logistics operates two rail networks under concessions: the network linking up Côte d’Ivoire and Burkina Faso (Sitarail) since 1995 and Cameroon’s rail network (Camrail) since 1999. BVRM, the Bourse Régionale des Valeurs Mobilières (West Africa stock exchange), is a financial institution established in 1996, in accordance with a decision taken by the UEMOA (West African Economic and Monetary Union) council of ministers. A public limited company (Société Anonyme) with a community public service mission, the stock exchange is shared by eight countries in West Africa (Benin, Burkina Faso, Guinea-Bissau, Côte d’Ivoire, Mali, Niger, Senegal and Togo). It is based in Abidjan with national branches in each of the participating countries. Bridge International Academies provide nursery and primary school education for 100,000 African children whose families live on less than USD 2 per person per day. It also hopes to expand into Asia. It seeks to deploy data-driven and technology- enabled teaching methods. Bridge also tries to forge partnerships with governments and other NGOs to solve core education challenges, from teacher accountability to children’s learning gains. Catram Consultants was set up in 1982 and is now part of Inddigo Group. It carries out all sorts of economic studies into ports and their development (feasibility studies, development blueprints, market studies, pricing guidelines, etc. ), as well as into maritime, inland waterway and rail transport. Catram Consultants are active in France but also have a big international focus, especially on French-speaking African countries. 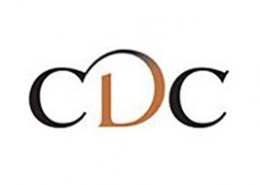 CDC is the UK’s development finance institution. CDC supports the building of businesses throughout some of the world’s poorest places in Africa and South Asia, to create jobs. CDC focuses on investing in countries where the private sector is weak, jobs are scarce and the investment climate is difficult, but particularly in sectors where growth leads to jobs. La CDC Climat, créée en février 2010 pour lutter contre le changement climatique, est une filiale de la Caisse française des Dépôts. Elle a pour mission de développer des services pour les marchés du climat et du carbone, à favoriser l’investissement en actifs carbone, tout en conduisant des études en économie du changement climatique. Le département Recherche de la CDC Climat produit des analyses indépendantes et neutres, destinées aux pouvoirs publics, aux acteurs du marché et au grand public. The mission of the CEFEB (Centre for Financial, Economic and Banking Studies), AFD’s corporate university, is to transfer knowledge and showcase the best practices essential to the development-related activities of the players in the AFD ecosystem. As a tool to promote change, the CEFEB aims to build the capacities of individuals and organisations. Its activities centre on three methods of action: degree and skills-training programmes, discussions with development stakeholders, and promoting French expertise. Centre d’économie de l’université de Paris-Nord (CEPN) is a broad-ranging economics and management research unit attached to Université Paris 13. CEPN is structured around three key research themes: financial risks and regulation; political economy and applied macro-economics; and institutions, markets and intellectual property rights. The Centre’s research tackles these three topics from a common structural analytical perspective of contemporary economies with a key emphasis on institutions and history. CERISE is a non-profit service provider based in Paris with 15 years of expertise working in microfinance, social business and rural finance. It offers training and support to both large and small institutions wishing to carry out social audits, analyse social data or devise their own social strategy. In addition, CERISE draws on the experience of its members and partners to co-develop user-friendly tools and resources that are available free of charge. The Corporate Governance Development Framework (CGDF) is a common platform adopted by 35 Development Finance Institutions (DFIs). Through the Corporate Governance Development Framework, DFIs aim to evaluate and improve governance practices of their investee companies. Cooperatives Europe is the European representative association of co-operative enterprises, uniting around 160,000 enterprises from 36 countries, directly employing 5.5 million people, and with over 100 million members. It is part of the International Co-operative Alliance (including the Americas, Africa and the Asia-Pacific regions). Co-operative associations have been long-time development actors around the world, focusing on sustainable enterprise development. CRATerre–ENSAG was set up in 1979 and was accredited as a research laboratory in 1986, under the supervision of the Ministry of Culture and Communication’s Architecture and Heritage Department. The 25-member team works with UNESCO’s World Heritage Centre, UNHabitat, international development aid non-governmental organizations (Caritas, Red Cross, Misereor…), as well as on development actions supported by the European Union. Crédit Agricole Corporate and Investment Bank (CIB) is part of the Crédit Agricole Group. It offers its customers a range of products and services in the areas of global markets, investment banking, structured finance and commercial banking. In the past four years, Crédit Agricole CIB has arranged some 60 green and sustainability bonds. Founded in 2001, Dalberg Global Development Advisors is a strategic consulting firm that works to raise living standards in developing countries, touching topics from access to finance and energy policy to public health and agricultural development. Our work helps governments, development finance institutions, foundations, international agencies, NGOs, and Fortune 500 companies to make sustainable improvements in the lives of disadvantaged and underserved populations around the world. Danadams Pharmaceuticals, established in 2005, is one of Ghana’s leading pharmaceutical manufacturers, its only maker of anti-retroviral drugs (ARVs) for people living with HIV/AIDS (PLHIV), and a key player in the African Union’s plan to grow pharmaceutical manufacturing across the continent. The Ghana Investment Promotion Centre (GIPC) adjudged Danadams as number one leader in Ghana’s Health Sector and it is ranked overall at 6th position among the Club 100 Companies. 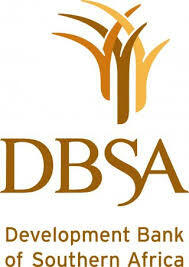 The Development Bank of Southern Africa (DBSA) is one of the biggest donors to the private sector in Africa. Although it is more specialized in infrastructure financing, The DBSA also supports SMEs and has extensive experience of Southern African economies. The German development finance institution’s DEG, a member of KfW Bankengruppe, has been carrying out TA since 2005, using public as well as DEG’s own funds to enhance the developmental effects of DEG’s financing projects. The program addresses DEG’s clients exclusively. In 2010, a total of 54 TA projects with a volume of EUR 3.8 million were realised. The character of the TA projects is very heterogeneous and ranges from risk management consultancy in the financial sector to various environmental and social measures and many different kinds of surveys and studies. DEG’s technical assistance program follows a co-financing scheme, i.e. generally, DEG finances no more than 50% of the overall project cost, with the balance being covered by the client company. The maximum co-financed project value is EUR 193,000. The average co-financed amount per TA project in 2010 was EUR 70,000. 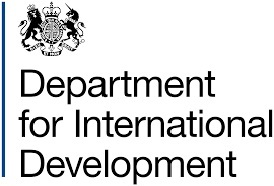 The Department for International Development (DfID) is a United Kingdom (UK) ministerial department responsible for administering overseas aid. Digital Divide Data (DDD) is a renowned social enterprise that delivers digital content, data and research solutions to clients worldwide. DDD has specialized in research into financial services in East Africa and in particular those used by low income populations. DDD implemented the Kenya Financial Diaries in 2013-2014. At the same time, DDD’s innovative social model enables talented youth from low-income families to access professional opportunities and earn lasting higher income. Abidjan-based international law firm Ebiele & Associates provides advice and litigation services to Côte d’Ivoire and overseas clients, often in collaboration with partner firms that are members of the Paris and New York bar associations. The firm’s partners have amassed considerable cross-sectoral expertise over the years in the main aspects of business law (Ohada treaty law, transport legislation, maritime law, port and airport legislation, international trade law, insurance and industrial risk legislation, competition law, property and construction law, social legislation and public procurement law). 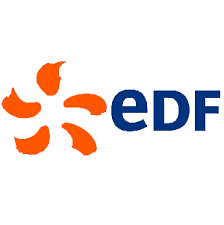 EDF is a global energy leader active in all major electricity businesses – generation (from nuclear to renewables), networks and trading – with a growing presence in the gas sector (trading and energy services). From its European base, EDF Group is engaged in international partnerships and co-operations, mainly in high-growth markets. The group has a Code of Ethics and has been developing projects to promote access to energy in developing countries for more than fifteen years. EDF key figures: annual sales €75.6 billion; 39.1 million customers; 159,000 employees; 85% CO2-free generation. A subsidiary of the Egis Group, Egis Airport Operation is entirely focused on airport management. It manages a network of 14 airports spread across four continents, handling more than 25 million passengers and 320 tons of freight. It holds a 35% shareholding in AÉRIA, the private company that runs Abidjan International Airport, alongside the Ivory Coast government (10%) and private shareholders (65%). The international engineering group Egis is 75% owned by Caisse des Dépôts and provides structuring and operational services in numerous sectors. With 13,000 employees, turnover was EUR 937 million in 2015. Established in 2012, Elun is an international NGO focused on enhancing teaching capacity in developing countries. Elun currently works in South Asia and East Africa with plans to expand into MENA countries in 2016. 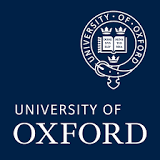 It partners local and international stakeholders and education experts to deliver adapted, high impact and scalable models of training to teaching staff across the world. Its training helps teachers to deliver effective and relevant education that fosters critical thinking, inquiring minds and other skills necessary to turn children into future leaders. The mission of the Emerging Markets Private Equity Association (EMPEA), an independent global membership association, is to catalyse private equity and venture capital investment in emerging markets. EMPEA’s members include institutional investors and private equity and venture capital fund managers across developing and developed markets. It leverages a global industry network to deliver intelligence, promote best practices, and provide networking opportunities, giving members the edge in raising funds, making good investments and managing exits to achieve superior returns. Enablis was established in 2003, by Charles Sirois – a Canadian entrepreneur and philanthropist – and Accenture, the global business consultancy leader, with the support of the Canadian government. Enablis stimulates job and wealth creation in developing countries by supporting the entrepreneurs belonging to its network – helping to combat poverty at the same time. Today this NGO is present in South Africa, Kenya, Tanzania, Rwanda, Ghana and Argentina and has more than 2,400 members. Founded in 2008, Enko Capital is an asset management company specialising in investment in Africa. Based in London, it manages funds investing in listed companies as well as high-growth African companies looking to enter the stock market. Enko also advises both central banks and sovereign funds on their investment strategies. Enko Education was co-founded in 2013 and is developing a network of private secondary schools in partnership with existing local schools with an established reputation for excellence. By providing international courses, Enko Education enables schools to give students a structured, modern learning experience that is recognised worldwide. 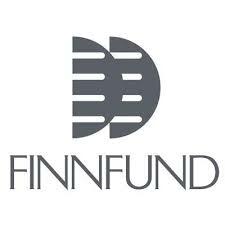 Finnfund is the Finnish development finance institution, majority owned by the Finnish state. Its mandate is to provide long-term risk capital for private sector projects in developing countries, with an emphasis on the poorer countries. It seeks to promote investments that are profitable and environmentally and socially sound, and focuses on certain sec-tors, including renewable energy, forestry and the environment. Apart from co-investing with Finnish companies Finn-fund can finance ventures that use Finnish technology, cooperate with Finnish partners on a long-term basis or gene-rate major environmental or social benefits. 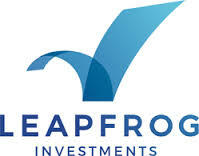 Finnfund also co-invests with other similar development finance institutions. The FARM Foundation was set up in 2005 and officially recognised as a charitable association in 2006. It is organised along the lines of a think-tank to promote efficient and sustainable agriculture and agri-business that reconciles the interests of both producers and consumers throughout the world. It seeks to enhance farmers’ ability to meet the demand for agricultural products (in both qualitative and quantitative terms) and boost their productivity in sustainable production systems, to strengthen the resilience of smallholder farmers to negative events (climate, health, economic, etc.) in order to secure income and encourage investment, and to structure the agriculture and agri-business sectors by organising farmers more effectively and providing them with better market access and more balanced relationships with both upstream and downstream industries and services. The Grameen Crédit Agricole Microfinance Foundation was set up in 2008 as an initiative of Crédit Agricole in partnership with Professor Muhammad Yunus, winner of the Nobel Peace Prize in 2006 and founder of the Grameen Bank in Bangladesh. The Foundation – which was given an endowment of €50 million by Crédit Agricole – provides loans, equity capital and technical support to 47 microfinance institutions and 13 social businesses in 27 developing countries, mainly in sub-Saharan Africa and South Asia. 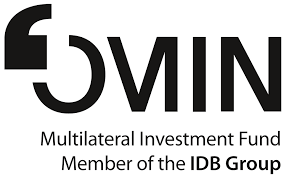 The Multilateral Investment Fund (MIF) was set up in 1993 and is administered by the Inter-American Development Bank. It focuses its support on helping small and medium-sized enterprises in Latin America and the Caribbean. Its investments have been decisive for the creation of several venture capital funds dedicated to clean energies. GEMS Education Solutions is the specialist education consultancy division of GEMS Education, with offices in the United Kingdom, the United States, the Middle East, East Asia, and Africa. The company manages schools and supplies strategy, consulting and programme implementation across the education sector. GEMS provides private clients, donor agencies and governments with expertise on leadership and management solutions, school improvement, skills partnerships and education reform. Ghana Home Loans (GHL) is the country’s only residential mortgage specialist with assets of USD 100 million. It was founded by three Ghanaians with funding from Standard Bank of South Africa; Dutch development bank, FMO; and United States development finance institution, OPIC. It was also funded by Proparco; the International Finance Corporation (IFC); Shelter Afrique; and German development bank, DEG. It has funded more than 1,600 homes with total loans of USD 115 million. It is pioneering mortgage-based securities in Ghana. Global Environment Fund (GEF), is a Washington-based private equity firm investing globally in businesses that provide cost-effective solutions to pressing energy, resource and environmental challenges. Its experience results from investments in three markets: southern hemisphere timberlands and US and emerging market clean energy technology and services companies. It manages approximately 1 billion dollars in private equity investments for institutional investors. Globeleq is wholly owned by Actis, the emerging market’s leading private equity firm. In total, the company has invested more than USD 1.3 billion of equity across 41 different power projects. Since 2007, it has focussed on sub-Saharan Africa and Central America, investing to enhance performance of existing assets, or develop and construct new power projects. In the past 2 years, Globeleq has undertaken construction of 520 MW of new generation and commenced a 139 MW expansion of an existing operation. Founded in Lille in 1907, Gras Savoye is an insurance and reinsurance broking group. A leading insurance broker in France, Gras Savoye deals with the entire risk process, fromthe provision of consultancy services to customers through to policy administration and claims handling – including policy negotiation with insurers. Gras Savoye forms part of the international consultancy, broking and software solutions group Willis Towers Watson, which has 39,000 employees in more than 120 countries. Founded in 1976, GRET is a non-profit association of professionals for fair development. It supports sustainable development processes in urban and rural areas, focusing on social justice, economic development and safeguarding the environment. GRET is active in around 30 countries, with 13 branch offices in Asia, Africa and South America. It operates in 16 specialist fields. The Ecole des hautes études commerciales de Paris (HEC) is a world-leading business school established in 1881 and located in Jouy-en-Josas, France. HEC is renowned for the quality of its degrees, faculty, and research. Holman Fenwick Willan (HFW) leverages its vast experience of its client’s different sectors to devise pragmatic, legal solutions tailored to specific industrial and commercial challenges. The firm was established in 1883 in the United Kingdom and now has offices in South America, Europe, the Middle-East, Asia and Australia. For nearly 40 years now, HFW’s Paris Office has been advising and defending the interests of businesses in the insurance, transport (especially sea and air transport), construction, infrastructure, energy, distribution and commodities industries. A philanthropic institution founded in Sao Paulo over 90 years ago, the Hospital Sírio Libanês leads in providing inpatient services such as surgeries, and outpatient services such as oncology, rehabilitation, diagnoses and check-ups. With 4,700 collaborators – including 3,800 doctors – and 357 beds, it has the capacity to carry out more than 50 surgical procedures and around 2,000 diagnostic examinations daily. Its mission is also to develop integrated services in the areas of social assistance, health, tutoring and research. The Hotel Partners Africa (HPA) is a coming together of the most experienced and respected hotel consultants working on the African continent. HPA provides a seamless service for all hoteliers and developers across Africa, drawing on over 100 years of hospitality experience. At HPA we look after all your needs related to hospitality real estate in Africa, from the initial appraisal of a potential development, to sourcing the money to develop the hotel, to building and opening the business, and finally to selling the asset. 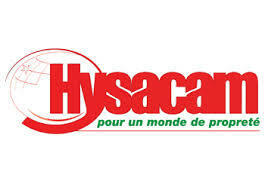 Hysacam, established in 1969, is the country’s leading private municipal solid waste management company. Based in Douala and Yaoundé, the company also provides waste management services to 12 other towns and cities. Hysacam operates across the entire municipal solid waste management chain, from collection through to processing. It has 5,000 employees and a fleet of 400 vehicles. Its annual revenues are around CFA 20 billion (Ä30,5 million), of which 85% is state-derived. Hystra is an international consulting firm which designs hybrid strategies and innovative economic models combining profitability and strong growth potential. In particular, the firm conducts in-depth studies of sectors such as energy, water, housing and nutrition, focusing on market-based approaches to benefit low-income communities. Since its establishment in 2009, Hystra has worked with some 50 clients in more than 20 countries.  The International Institute for Educational Planning (IIEP), established in 1963, is a training and research centre charged with supporting UNESCO’s strategic programming for education. The IIEP trains education planners and managers in analysis, planning, management, monitoring and policy evaluation techniques. It undertakes research and technical support activities to help ministries of education plan and manage their education systems. I&M Bank is a leading commercial bank headquartered in Kenya, with a growing regional presence currently extending to Mauritius, Tanzania and Rwanda. I&M Bank is wholly owned by I&M Holdings PLC which is listed on the Nairobi Stock Exchange. I&M Group prides itself on its strong values and key strengths of innovative service and strong customer relationships and through these pillars, aspires to be the banking powerhouse in East Africa for medium to large businesses and premium clients. The National Institute of Directors of Côte d’Ivoire (INAD-CI) was set up in 2013 in Abidjan and is the country’s leading advocate for the professionnalisation of the activity of company director. Its mission includes promoting good governance practices and helping company directors with their professional development and the association may be used by executives wishing to enhance their corporate governance expertise. Initiative RSE Sénégal (the Senegal CSR initiative) aims to promote social responsibility (CSR) among local businesses. The initiative is promoted by the consultancy CFPMI and its activities are supported by 30 companies and numerous public partners (including Agence Française de Développement – the French development agency – and Germany’s Technical Cooperation Agency GTZ). It organises the Senegal CSR Forum, promotes CSR practices online (www.rsesenegal. com and www.facebook.com/RSE.Senegal) and organises training events in this area. Injaro Agricultural Capital Holdings Limited (“IACHL”) is an impact investment fund which makes investments (of between US$500k and US$5m) in debt, quasi-equity, and equity in small-and medium-sized enterprises along the agricultural value chain – encompassing the full range of activities from inputs, through primary production, conditioning, aggregation, to the processing of food and other agricultural-based products. Founded in 2005 by Peruvian businessman Mr. Jorge Yzusqui Chessman, Innova Schools is a network of schools which offer highquality pre-school, primary, and secondary education with modern infrastructure at affordable prices to the country’s emerging middle class. The private education institution operates 23 schools with presence in Lima’s fastest growing districts and in four provinces, delivering its innovative teaching system to a total of 13,200 students. It has an established plan to build 70 schools by 2020 that will serve more than 70,000 students. InterVISTAS Consulting Group is a management consultancy firm that specializes in strategic commercial, operational, and financial services for airports and airlines worldwide. InterVISTAS’ strategic insight is based on quantitative analysis using both proprietary and leading industry third-party systems. Investisseurs & Partenaires (I&P) is a family of impact funds fully-dedicated to the African continent. Created in 2002 by Patrice Hoppenot and directed by Jean-Michel Severino since 2011, I&P is a pioneer in the impact investing sector in Africa. With €75m under management, I&P has invested in almost 60 small and medium-size companies across 15 countries. I&P brings long-term financing as well as strategic, managerial and technical support to its investees. I&P is the advisor of an impact team, managing a EUR 65 million fund dedicated to access to electricity in Africa. As an impact investor, I&P strives to maximise the economic, social and environmental impacts of its partners and aims to actively contribute to the African development. The Higher Institute of Maritime Economics (known by its French acronym ISEMAR) was set up in 1997 by regional and port sector stakeholders in Nantes Saint-Nazaire. Its role is to analyse developments in the maritime and port sectors in France and around the world, with its work being available to the public particularly through its publications. ISEMAR’s Summary Reports are today a benchmark, providing respected analysis of major issues in the maritime sector covering markets, stakeholders and geographical regions. ISWA is a global NGO representing national professional associations, companies, organisations, academics and researchers specialising in the management of waste and resources. Based in Vienna, ISWA has ten working groups, one of which is dedicated to the relationship between waste management and climate change. ISWA has been actively involved in the most recent United Nations Framework Convention on Climate Change (UNFCCC) Conference of the Parties (CoP) meetings in Copenhagen, Cancun and Durban. ITGStore is an IT services company offering service and infrastructure integration. ITGStore is based in Cameroon with agencies in Douala, Yaoundé, Niamey and Paris. Jumo is a South African technology company that provides a platform for individuals in emerging markets, who are largely excluded from traditional financial services, to access mobile savings and credit in real-time – often for the first time. Jumo has developed a credit scoring algorithm which allows the client’s ability to repay a loan to be estimated based on data on their use of their mobile phone, electronic wallet and other behavioural data. 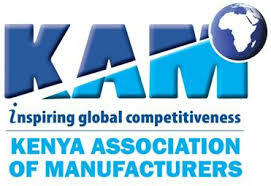 The Kenya’s Association of Manufacturers (KAM) is one of the country’s leading business associations. It represents more than 850 sector members who together contribute to 11.3% of the country’s gross domestic product. It promotes trade and investment, upholds standards, and by providing a link for co-operation and dialogue with the government, encourages the development of policies that facilitate a competitive business environment and reduce the cost of doing business. 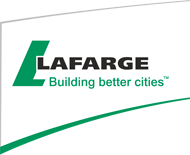 Lafarge is a global leader in building materials and a major player in its core businesses of cement, aggregates and concrete, with a presence in 61 countries and 63,000 employees. The group helps to build towns and cities all over the world, delivering innovative solutions to make them better to live in, more compact, more sustainable and better connected. Lafarge has the world’s leading building materials research facility: innovation is at the very heart of everything it does. Louis Dreyfus Commodities (LDC) is one of the leading global commodity trading houses. The group’s portfolio includes oilseeds, grains, rice, citrus, cotton, coffee, metals, milk, fertilizers, sugar and ethanol businesses. With 160 years in the commodities business, LDC maintains a dynamic culture with 34,000 employees at peak season, and offices in more than 55 countries. LDC has been actively involved in commodity markets throughout the African continent since it opened its office in South Africa in 1924. Three years ago, LDC decided to place Africa at the heart of its growth strategy, by creating a stand-alone Middle East and Africa (LDC MEA) regional headquarters in Dubai. LifeSpring Hospitals is an expanding chain of low-cost maternity hospitals that serves low-income women and newborns in India. It is a 50-50 joint venture between HLL Lifecare Limited (an Indian government enterprise) and Acumen Fund (a venture philanthropy organisation based in New York), a partnership which began in early 2008. LifeSpring currently has twelve 20-25–bed hospitals in Hyderabad, does 500 deliveries a month, and has done 20,000 to date. Founded in 2010 by Unitaid, the Medicines Patent Pool (MPP) is a public health organisation working to improve access to affordable and appropriate HIV, hepatitis C and tuberculosis medicines in low- and middle-income countries. The MPP works with a range of partners – industry, civil society, international organisations, patient groups and governments – to prioritise and license new and existing medicines. Millicom Group – incorporated by Swedish interests – is a mobile phone company operating in 16 emerging countries in Africa, Asia and Latin America. At the end of 2008, it had a total of 32 million subscribers. mPharma is a venture-backed startup whose mission is to make prescription drugs in emerging markets easily accessible, and easily affordable. mPharma partnered with major pharmaceutical manufacturers, insurance companies, financial institutions and governments to deliver medicines directly to consumers in underserved markets. Mwana Africa, a of a true « African child » mining company founded and managed by Africans, operates in Angola, Botswana, the Democratic Republic of Congo, Ghana, South Africa and Zimbabwe. The company is listed on the London Stock Exchange’s Alternative Investment Market and is specialized in the exploration and extraction of gold, nickel, copper, cobalt and diamonds. Established in 2004, Nodalis Conseil, based in Paris, delivers services and provides financial, institutional and strategic advice on infrastructure and public services management in a range of sectors, among them energy. Working in emerging and developing countries Nodalis Conseil also undertakes performance audits, monitors contract implementation and provides services to assist with industry regulation. Novastar manages an USD 80 million venture capital fund dedicated to finding and growing the “new stars” of East Africa. Founded in 2014, Novastar backs early- and growth-stage businesses led by entrepreneurs with the capability and ambition to transform markets at the base-of-the-pyramid. These enterprises address proven demand for basic goods and services with innovative business models that widen access, improve quality, and lower cost of basic goods and services for the aspiring mass market. OAF will invest in Small and Medium Enterprises (SMEs) in Ghana and Cote d’Ivoire providing essential services including education, financial services, housing, healthcare, food services and hospitality. Olam International is a leading agri-business operating from seed to shelf in 65 countries, supplying food and industrial raw materials to over 13,800 customers worldwide. Originally established in 25 years ago sourcing cashews from the farmgate in Nigeria, the company today has a team of 23,000 employees who have built a leadership position in many of its businesses including cocoa, coffee, cashew, rice and cotton. Established in 1997, ONF International runs the international activities of ONF, the French Forestry Commission. Through its network of branch offices, ONFI is active in around 50 countries, mainly in Africa and Latin America, and works for both public and private clients. ONF International is involved in all areas of sustainable ecosystem management: setting up and monitoring operations, socio-environmental monitoring of investments, and providing support for government policies. With a turnover of €39 billion in 2014, Orange is one of the world’s leading telecommunications operators and as at 30 September 2015 employs 157,000 staff, 98,000 of whom are based in France. With a presence in 28 countries, the Group has 263 million customers around the world, including 200 million for mobile services and 18 million for fixed broadband (figures as at 30 September 2015). Under the brand Orange Business Services, the group is also one of the world’s leading telecommunications service providers to multinational companies. Orange Digital Ventures Africa (ODVA) is a EUR 50m investment fund that finances innovative start-ups in Africa. The fund was launched in 2017 and targets strategic sectors for Orange in the zone by leveraging the Group’s African client base and distribution network: fintech, eHealth, energy, agritech, govtech, edutech. 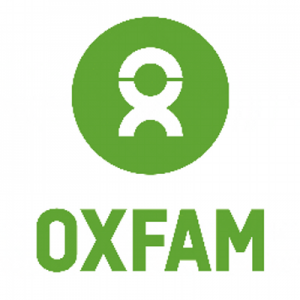 Oxfam is an international confederation of 17 organisations working in more than 90 countries. As well as becoming a world leader in the delivery of emergency relief, Oxfam International implements long-term development programs in vulnerable communities. Oxfam is part of a global movement, campaigning to end unfair trade rules, demand better health and education services for all, and to combat climate change. PlaNet Finance is an international solidarity organization that provides microfinance institutions with technical assistance and financial support. Established in 1976 as a joint initiative between the French Civil Aviation Authority and equipment manufacturers, Proavia brings together 58 French companies specialising in airport and air traffic control technology and services. Proavia is a non-profit professional association that aims to promote the expertise of French airport equipment manufacturers and consultants internationally. It also keeps its members abreast of market trends. PTA Bank was set up in 1985 and has developed into a leading African multilateral provider of trade and development finance. It serves as the regional bank of the Common Market for Eastern and Southern African (COMESA) and currently covers 19 African countries. PTA is tasked with developing the economies, trade and infrastructure of its member countries and has provided around USD 10 billion in financing over 30 years. Over the last five years, PTA Bank’s balance sheet has grown by an annual average rate of 39%. Quamed is an autonomous not for profit association which objective is to contribute to improving access to quality medicines. It aims to raise awareness about the need to scale up access to quality medicines in resource-poor settings, and to help to reinforce Quality Assurance systems. Results for Development Institute (R4D) is a non-profit organisation whose mission is to unlock solutions to tough development challenges that prevent people in low- and middle-income countries from realising their full potential. Using multiple approaches in multiple sectors including, global Education, global Health, governance and market dynamics, R4D supports the discovery and implementation of new ideas for reducing poverty and improving lives around the world. Rougier Group, established in 1923, is one of the market leaders for certified African tropical woods. With a workforce of 3,000, the group is active in the management of natural forests, industrial processing and international trade (Rou-gier Afrique International); in the import and distribution of timber products in France (Rougier Sylvaco and Rougier Panneaux); and in research, management and investment in industrial forestry plantations in Africa (Lignafrica). 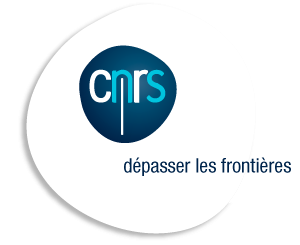 RSE & Interculturalité (Intercultural Understandings of CSR) is a network of researchers and organisations – from the state sector, the private sector and civil society – dedicated to the intercultural and local dimension of organisations’ CSR policies. The network explores the interactions between a ‘top-down’ CSR policy – mainly focused on disseminating international regulations (standards, codes, etc.) across organisations – and a ‘bottom-up’ CSR founded mainly on local social, political and economic practices already in existence. Sanofi, a world biopharmaceutical company specializing in human health, develops innovative vaccines and treatments to fight rare and chronic diseases. Schneider Electric, a leader in the energy transition, aims to give companies the capacity to address the energy and climate challenge, while taking action to make energy accessible to all. For example, the Group has undertaken to promote the implementation of lighting solutions and means of communication for 50 million poor people over the next ten years, while supporting – via the Schneider Electric Foundation¹ – access to high-quality education for all. Seedstars is a global organization that aims to impact people’s lives in emerging markets through technology and entrepreneurship. The objective is to connect stakeholders within innovation & technology ecosystems, to build companies in liaison with entrepreneurs and public and private partners and invest in the top high-growth companies. Serena Hotels, set up in Kenya in the 1970s, is a hotel chain which manages 32 establishments in Africa and Asia. It is held by the Aga Khan Fund for Economic Development, via its subsidiary TPS EA. 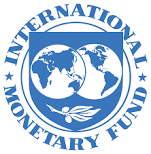 IFC, a member of the World Bank Group, is the largest global development institution focused exclusively on the private sector in developing countries. We utilize and leverage our products and services to provide development solutions customized to meet clients’ needs. We apply our financial resources, technical expertise, global experience, and innovative thinking to help our partners overcome financial, operational, and political challenges. In FY16, IFC has committed USD1Billion in investments in FCS1 globally, including USD250Million in Africa. SIFCA is a major player in the West African agricultural industry. The group covers the entire value chain, from plantation to marketing, for palm oil, rubber and sugarcane. Through its ten subsidiaries, some of which are quoted on the regional stock market in Abidjan and on Paris Euronext. SIFCA operates in Côte d’Ivoire, Liberia, Ghana, Nigeria, Senegal and France, and has over 30,000 employees. Based on a diversified universal banking model, Société Générale is one of the leading European financial services groups, with more than 154,000 employees, based in 76 countries, and serving 32 million clients throughout the world. Société Générale’s teams offer advice and services to individual, corporate and institutional customers. The group has a long-standing presence in Africa, where its subsidiaries operate a network of more than 1,000 branches. With a market capitalisation of USD 23 billion (31 December 2012) and total assets of USD 183 billion (FY2012), Standard Bank is Africa’s largest banking group with a presence in 18 jurisdictions. Within the power and infrastructure sectors, Standard Bank is a leading financial advisor to corporates and institutional investors and is currently advising on energy sector projects encompassing all key technologies, including coal, gas, and nuclear, wind, photo-voltaic, concentrated solar and hydro. StartupBRICS.com is a French-language blog specialising in innovation in emerging countries. By focusing on start-up success stories in emerging countries, the blog aims to feed leading French and French-speaking decision-makers news and enlightened analysis about the digital potential of tomorrow’s economic heavyweights. Summit Development Group (SDG) invests in banks and financial institutions in sub-Saharan Africa in order to focus them on the ‘missing middle market’ segment: SMEs, the unbanked, and low- and middle-income households in need of mortgage financing. By transforming financial institutions and supporting their customers, SDG provides both financial and social returns for investors looking to contribute to economic growth and development in Africa. SUNU is an African insurance group set up in 1998 by Pathé Dione. Thanks to acquisitions and start-ups, the Group has gradually expanded into 14 West and Central African countries and now comprises 22 subsidiaries and affiliates together with a micro-finance entity based in Senegal (Kajas). In 2015, SUNU acquired a majority stake in a Nigerian insurer with subsidiaries in Ghana and Liberia. Formed in 1984, Tata Housing Development Company, a subsidiary of Tata Sons holding company, develops residential, commercial and retail properties; employs 650 people; and currently has 5.1 million m2 at various stages of planning and construction. The company is involved in all consumer segments, from value housing to luxury homes, and invests in research and development to develop business models for low-cost housing. It aims to deliver quality construction through ethical business practices. The Currency Exchange Fund (TCX) is a specialized fund offering OTC derivatives to hedge the exchange rate and interest rate risks which affect international investors and local borrowers on emerging markets. The aim is to promote long-term financing in local currency by helping reduce market risks related to exchange rate asymmetries. TCX consequently works on currencies and maturities which generally have little coverage. Launched in 1999, TLcom Capital is a VC firm based in Nairobi, Lagos and London investing in technologyenabled fast-growth businesses across Europe, Israel and Africa. Recent investments on the Continent include Upstream (acquired by Actis), Movirtu (acquired by Blackberry), Andela, Terragon and mSurvey. Having begun its activities in Tunisia in 1994 and later extended its operations to other countries in central North Africa, Tuninvest–AfricInvest Group has been active in Sub-Saharan Africa since 2004. 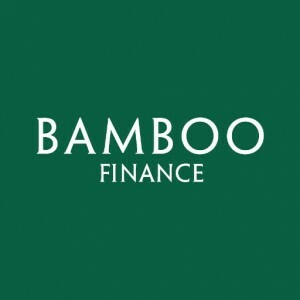 Targeting SMEs, the group manages assets of more than USD 500 million through ten investment funds. It has a team of 37 investment specialists and has invested in 90 companies in some ten countries from its six offices in Abidjan, Algiers, Casablanca, Lagos, Nairobi and Tunis. Twiga Foods, based in Kenya, is a mobile-based supply platform for Africa’s retail outlets, kiosks, and market stalls. Twiga Foods allows grocers to access better-quality products, at lower prices, delivered directly to their shops. The solution gives vendors simple mobile-based ordering platforms to purchase their stock, and provides farmers with predictable pricing for their crops. The U.S. Geological Survey (USGS), established in 1879, is the major scientific agency within the U.S. Department of the Interior, and conducts studies of the overall geological and biological framework of the United States (and overseas), with the emphasis on mineral resources; geological, biological, and topographical mapping; geological hazards; and water resources. Tilburg University is a university of the Netherlands, providing high-quality education and research for more than eighty years. It has a student population of about 13,700 students. Enjoying the reputation as Europe’s best in Business, Economics, and Law, it also specializes in Humanities, Theology and Social Sciences. A feature of the research carried out at Tilburg University is the innovative multi-disciplinary approach. There are more than twenty centers in which scientists from a wide range of fields work together. The School of Architecture and Planning at the University of the Witwatersrand in Johannesburg, South Africa, includes postgraduate studies in the multi-disciplinary fields of housing, urban studies, energy efficient cities and urban design. It provides supervision to a large cohort of PhD students drawn from South Africa, other developing countries and the global north. 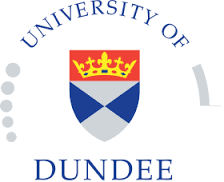 The School is host to the Centre for Urban and Built Environment Studies as a base for collaborative research within the School and beyond. Vicat Group employs over 7,200 people and had a consolidated turnover of over EUR 2 billion in 2010. The Group is established in eleven countries – France, Switzerland, Italy, United States, Turkey, Egypt, Senegal, Mali, Mauritania, Kazakhstan and India – and has made almost 59% of its turnover outside France. It was founded in 1853 and is today specialized in the cement, ready-mixed concrete and aggregate industries. Wadi Group is an important player in the agribusiness industry throughout the MENA region. Launched in Egypt in 1984 with a small scale family-run poultry operation, today Wadi operates 12 subsidiaries with ten brands across three sectors: Poultry, Agrifood and Industry. Wadi is a market leader in poultry day-old chick production, olives and olive oil, and poultry feed manufacturing. Wadi also owns a stevedoring & storage port that integrates with its grains logistics activity. 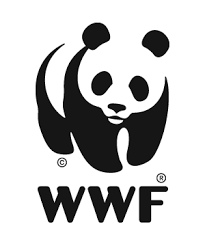 World Wide Fund for Nature (WWF) is an independent environmental protection organisation with 5.8 million members and an active network in more than 100 countries. WWF works to stop the degradation of the planet’s natural environment and to build a future in which humans live in harmony with nature, by conserving the world’s biological diversity, ensuring that the use of renewable natural resources is sustainable and promoting the reduction of pollution and wasteful consumption. WWF works with all stakeholders to find technical, economic and social solutions that promote sustainable development. As the world’s leading conservation organisation, with 5 million members, WWF has permanent offices in around 100 countries. Since it was first set up in 1973, WWF France has been working with international institutions, governments and businesses to bring about real change. Zoona is an African FinTech business that helps communities thrive. Since launching in 2009, Zoona has grown to an active customer base of 2 million consumers with 3,000 agents in Zambia, Malawi, and Mozambique and has processed over $2 billion in transactions. In 2015, the Nike Foundation and Unreasonable Institute selected Zoona as one of the world’s top start-ups for helping girls out of poverty based on a microfranchise model that empowers girls and young women to become entrepreneurs.